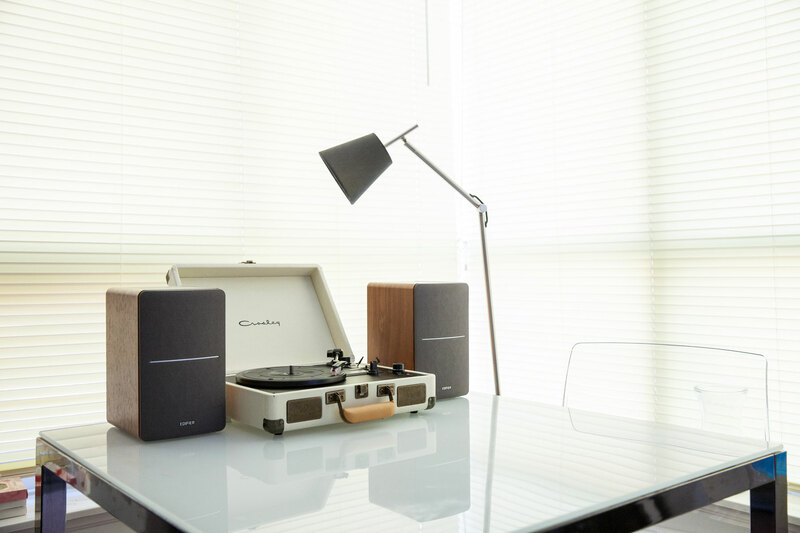 The R1280T powered bookshelf speakers has combined a retro look with a modern sense of audio quality. 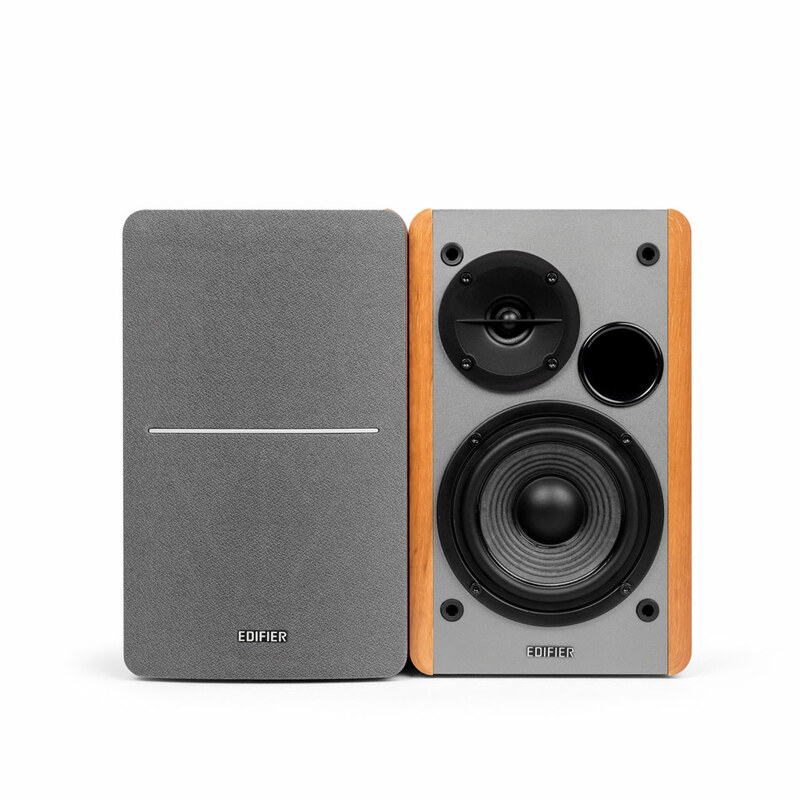 If you’re looking for affordable and versatile bookshelf speakers with uncompromising sound the R1280T bookshelf speakers is your go-to 2.0 speaker system. Featuring a 4-inch bass driver and a calibrated, flared bass reflex port, this bookshelf speaker system delivers robust, rich bass notes that are full of presence and depth. The faithful sound production and performance of the R1280T are any audiophiles dream. 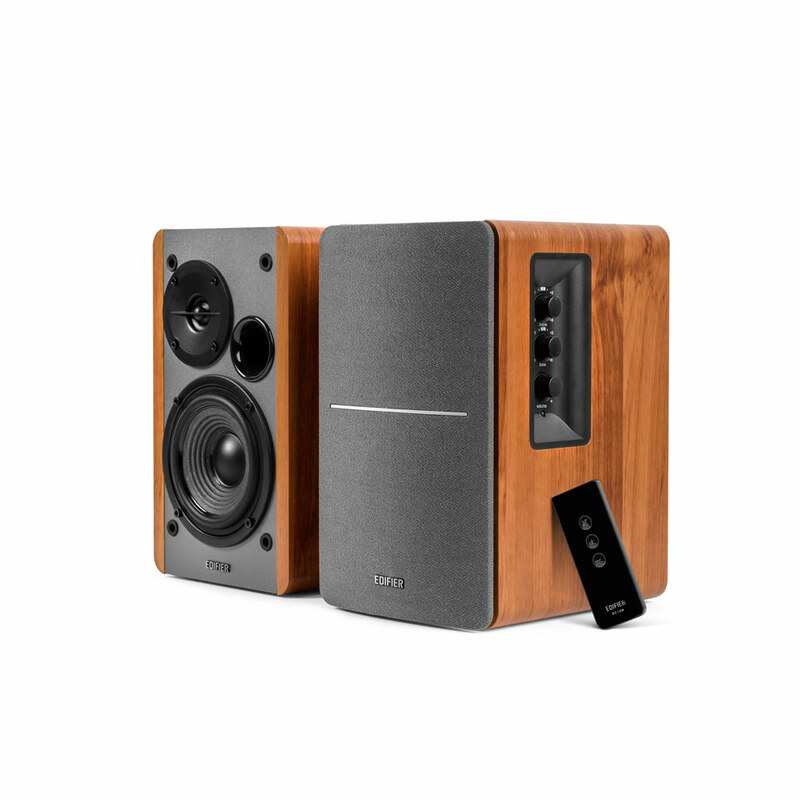 Most Edifier customers are using our R1280T powered bookshelf speakers for connecting their turntables for the best audio experience. Enjoy your classic vinyl’s while enjoying the advancements in modern day audio technology. 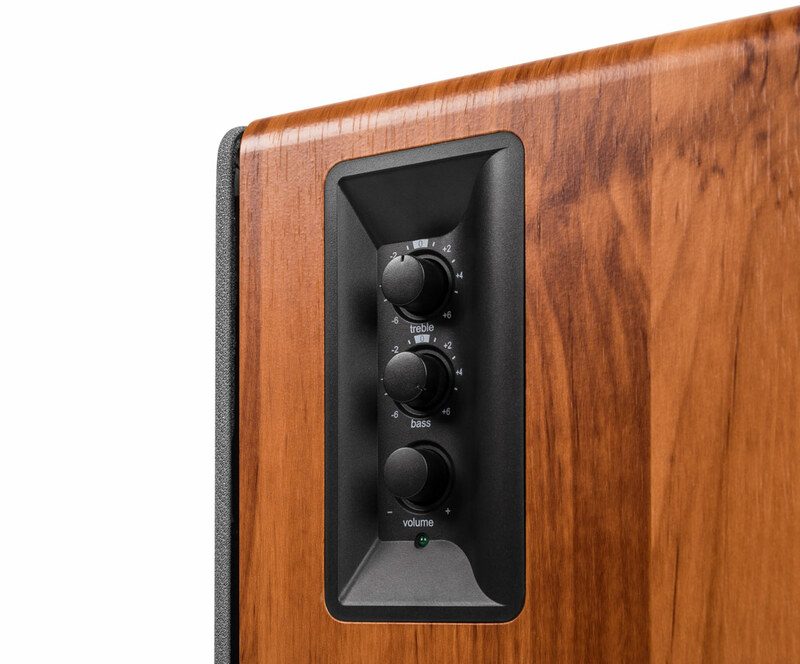 Personalize your listening experience with the bass, treble and volume dials on the active bookshelf speaker. The quality sound produced form these bookshelf speakers deliver a precise booming midrange that tantalizes any reviewer. A compact sized handy remote control is included. You can adjust the volume and set the speakers to mute when needed without having to reach the speakers; power and perfection at your fingertips. 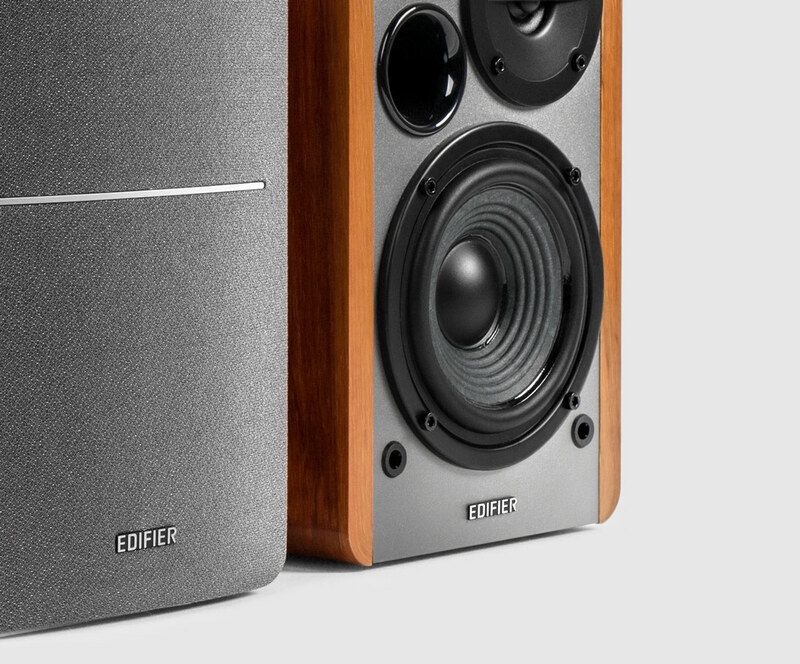 The Edifier R1280T comes with built-in tone control at the side of the active speaker. Depending on the preference, you can make micro adjustments of treble and bass from -6 to +6 db. Digital volume control is automatically set to a comfortable level everytime the speakers are powered on. 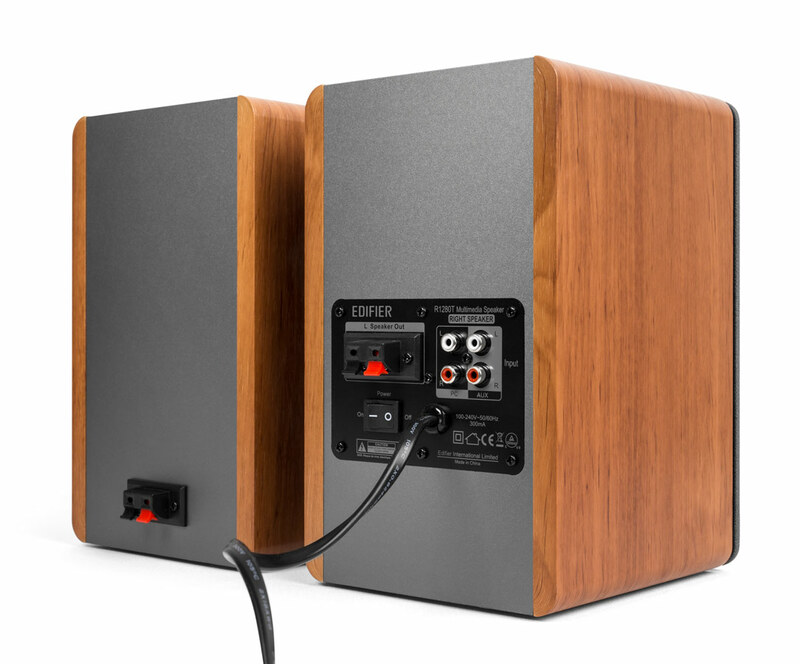 R1280T powered bookshelf speakers lets you connect to multiple audio devices using the dual RCA inputs. By looking at the back panel you can easily tell one of these is a passive speaker and one is an active speaker. 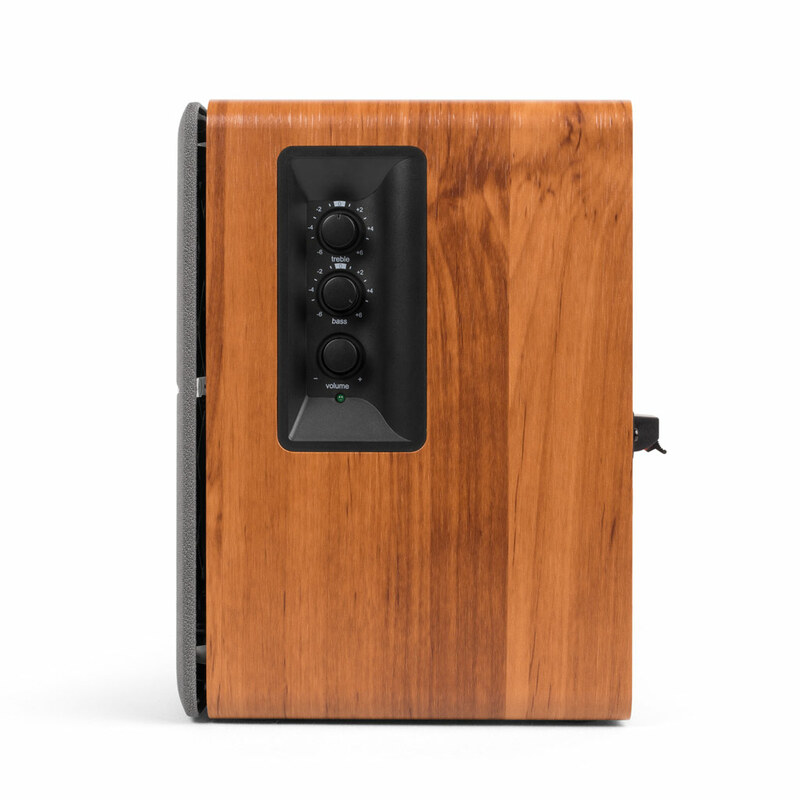 The active speaker has two inputs located on the back. These inputs are perfect for RCA to RCA or RCA to AUX connections. Connect them to a PC, laptop, tablet, phone or record player. 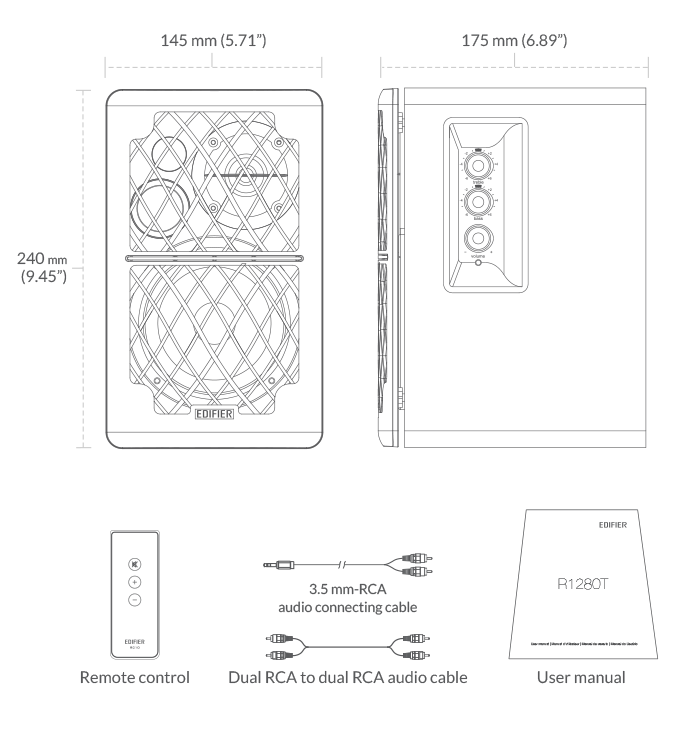 The speakers are connected to each other via regular speaker wire. The variety of cables included ensures our customer enjoy their music from most devices right out of the box.